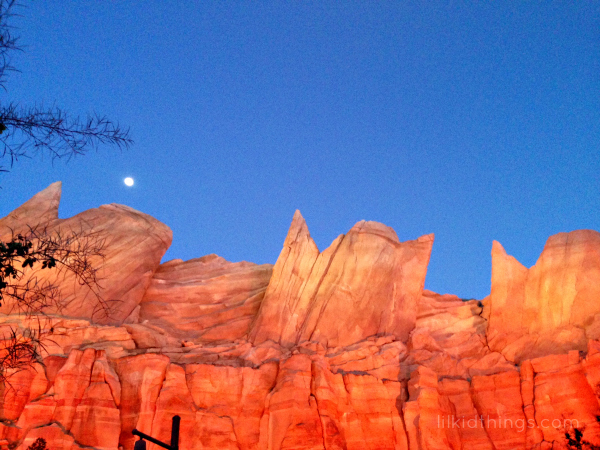 I’m home from an amazing weekend at the Disneyland Resort for the Disney Social Media Moms Celebration. Over the weekend I learned, was inspired and yes even shed a tear or two. The conference was amazing and I have far more to share than just one post. I plan to take my time remembering and sharing everything I learned. Hopefully you will enjoy it as much as I did! You may have heard the phrase, “content is king” when it comes to blogging and/or marketing. This holds true for the most part. But the fact is, great content comes from being authentic. It’s no secret that the magic of Disney draws its fans into a wonderful world of fantasy and impossible dreams. Inspiration and encouragement are the foundations of what Disney is all about and this is why we love it. Still, these dreams are somewhat grounded in a reality that we can all understand. This brings the fantasy down to earth and to a place where we can experience it for ourselves. What you may not see at first glance are the layers upon layers of authenticity that lay beneath the magic, especially when it comes to Disney Parks. These dreams; these characters have been painstakingly imagined and researched for months (if not years) before you and I ever get to meet them. We know they are players in a big show, yet they are somehow so real. And that’s just it. The best magic happens when creativity and reality are married in such a way that it’s easy to forget which is which. During our conference day, I sat in awe listening to some major Disney players who are the very ones who create this magic. We heard from Tom Staggs, Chairman Walt Disney Parks and Resorts, about the amazing upcoming global expansions in several Disney Parks worldwide. I haven’t yet seen the movie Avatar, but after seeing the sketches and hearing the vision for the new Avatar Land coming to Animal Kingdom, I am adding it to my list! From Jay Ward, Creative Director, Cars Franchise Pixar Animation Studios and Kathy Mangum, Executive Producer and Vice President Walt Disney Imagineering, we were treated to a spectacular behind the scenes look at the Cars Franchise and the building of California Adventure’s Cars Land. I could have listened to Kathy Mangum for hours upon hours. There is something about the “imagineering” process that captivates my attention. When I sit back and think about it, I realize that it’s the attention to detail that grabs me. I tend to be a “big picture” person with a very active imagination. I dream big and I love to follow my dreams. But when it comes down to the details the wheels start to fall off. I love the Disney commitment to detail. It was evident all throughout the conference weekend and even more so when it came to learning about the production of Cars Land. 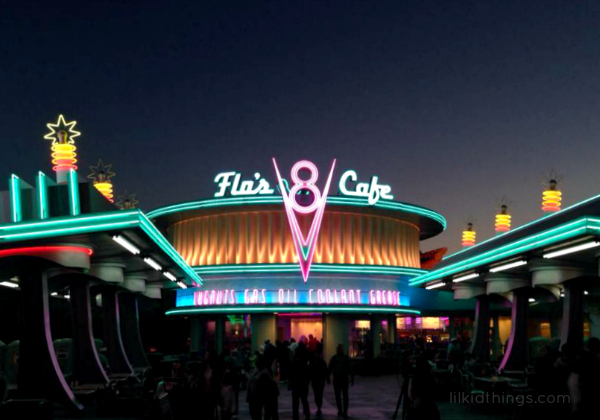 Kathy shared stories and video from a road trip her team took down Route 66 to really understand what they were trying to create when making Cars Land. The end result could never have simply been a 2 dimensional reproduction of an animated film. It had to be real. 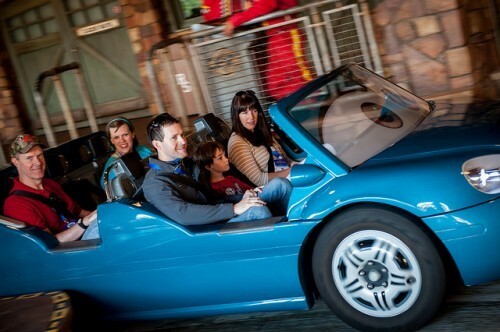 And if you have ever been to Cars Land, you know it as one of Disney Parks’ crown jewels! It is simply beautiful. The world of blogging and social media is a fast paced work environment where it can be tempting to be first rather than best. I speak from experience when I say it is almost always better to sit on an idea for a bit of time before hitting tweet or post or publish. My content is always better when I pay attention to the details and post authentically in my own voice. I can’t be Walt Disney. But I can certainly learn from the principles that served him well and apply them to my own creative process (which I will touch on another day). I don’t run a multi-million dollar company with every production tool at my fingertips and that is ok. My dream is not to build a theme park. What I have are stories, inspiration and ideals that I want to pass on to my children. I have a voice and the ability to put my words in front of others. What an awesome freedom! Learning about Disney Parks’ attention to detail was a timely reminder that it is ok to pour my heart into my words. It can be time consuming and scary to be so emotionally attached to a project. But the end result is almost always worth it. It is only when we empty ourselves, that we can be filled. These are not only the keys to Disney’s success but they are also the keys to success in life! Love your takeaways. I still need to write mine!